You might have been served well by your Blackberry smartphone for quite some time and want to try out the new Android powered Smartphone. So how would you transfer your BlackBerry Backup to Android device? Well, worry no more! You will get the best solution here. There is a program to do just on transferring BlackBerry backup to Android. That is iSkysoft Phone Transfer for Mac ( or iSkysoft Phone Transfer for Windows). It is a very user friendly program to help in data transfers from phone to phone. The good news is that the program supports cross-platform data transfers. 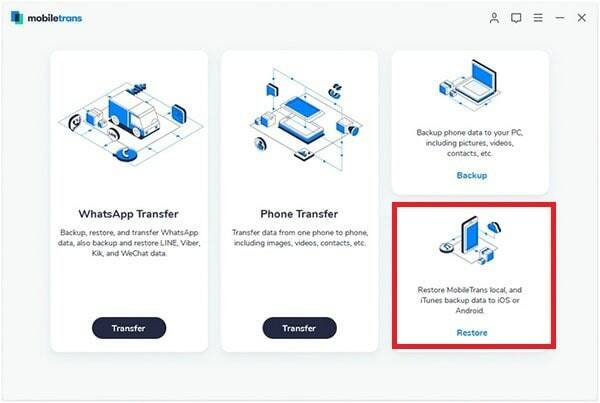 For a BlackBerry Backup to Android device transfer, you will be able to transfer your contacts, messages, music, videos, and more. The contacts transfers include contacts with name, number, email address, job title, company name and other relevant details. 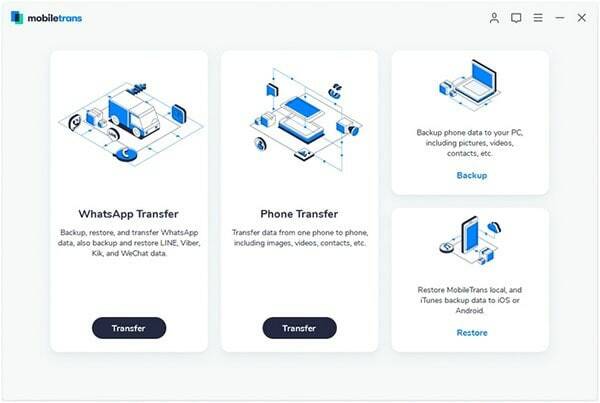 ● Cross-platform Data Transfer – with this application, you can perform data transfer between any phone operating systems such as iOS, Symbian, Android and BlackBerry. ● Backup and Restore – back up data on an old phone and restore it to the new phone with ease. ● Restore Data from Phone Transfer – if you wish to retransfer data after data transfer between phones to your old phone, then this feature comes in handy. 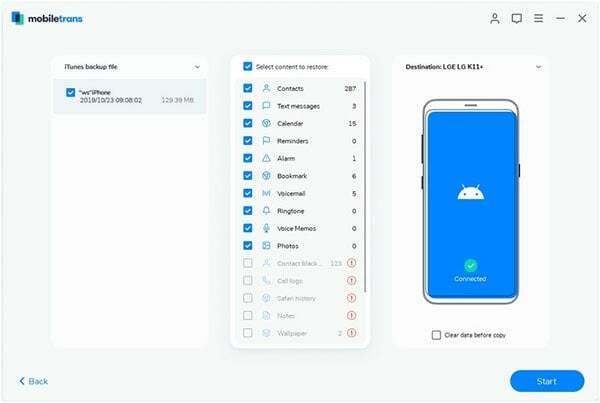 ● Erase Old Phone Permanently –With this feature, you can deep-scan your device and erase all existing data permanently thus protecting your personal data. 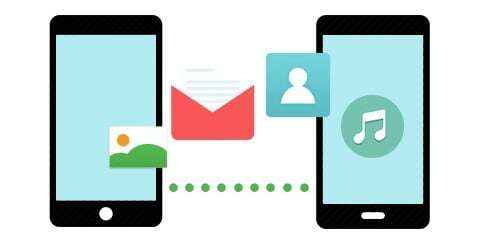 With these feature and more, iSkysoft Phone Transfer is a program worth having! But, a question still remains, how does it work? Let us see how a simple BlackBerry Backup to Android device data transfer can be done. First, back up BlackBerry contents with Blackberry Desktop Software. Then follow the below steps to do the data transfer. Step 1: Open iSkysoft Phone Transfer. If you don’t have the wonderful software titled iSkysoft Phone Transfer, don’t worry. You can download it anytime you need it. All you have to do is go to click the above “Free Download” button. Then install it and launch the Nokia to iPhone 6 transfer tool. Step 2: Click “Restore From Backups” and select “BlackBerry”. Step 3: Connect your Android device to your computer with USB cable. Check the contents you want from BlackBerry backup. 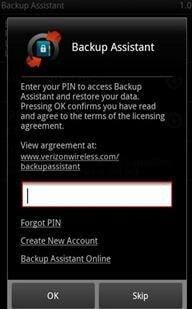 Click “Start Copy” to start transferring BlackBerry Backup to Android. That’s it. This program has really simplified the work of data transfer between cross-platform devices. The best deal is anybody can use it, making it a very user friendly tool. 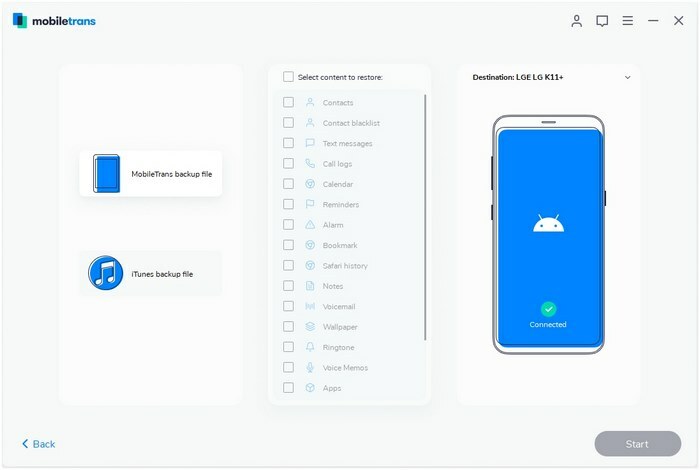 Other features can also be performed with iSkysoft Phone Transfer for Mac ( or iSkysoft Phone Transfer for Windows) such as backup the Smartphone’s data to a computer then restoring later to the same phone or to a new phone. That's how easy phone to phone data transfer is.